Will you see your animal companions in the afterlife? Home → News → The Latest → Will you see your animal companions in the afterlife? Whether you call it heaven, the beyond, out in the stars or the rainbow bridge, many people believe they will be reunited with their animal companions in the afterlife. I’m definitely one of the believers! 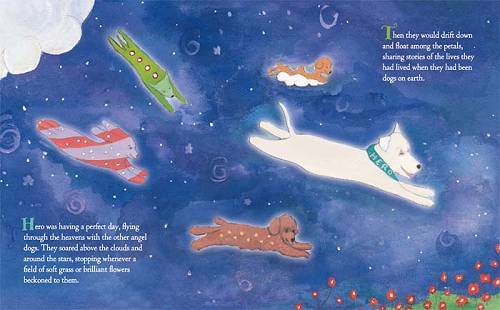 I even write about our angel critters coming back to visit us in my books For Every Dog An Angel and For Every Cat An Angel. 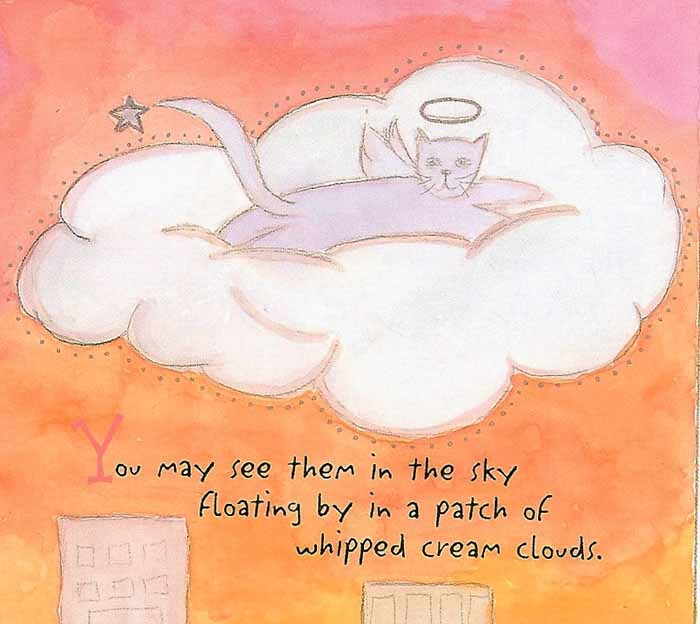 The unexpected loss of two of my dear cats has led to the writing of a new book for anyone who is grieving a lost four-legged friend. In preparation for the book, I’m curious to hear how others feel about this topic. Do you believe you will see your angel critters again one day? And where will that be – in heaven? At the bridge? Somewhere else? How does the afterlife look to you? I just lost my 16 year old kitty. He had kidney failure for 9 years! The vet says he was a miracle. We believe he stayed strong for so long to make sure I was okay. To see me get married, have babies, and be secure in my life. I feel him all around me. I’ve had cats before, but he was different. I cried, he howled, I moved, he moved. A lot of tears fell on his fur, happy and sad. He was always there and I was there for him, nursing him back to health with fluids and medication and special food until his little body just couldn’t fight anymore. I still feel him all around me. I hope I see him again someday. I walked down the hall today and saw a flash of him in the doorway…enough to make me look back. Maybe it was him, just checking in. I can only hope. Amy, I think your vet is right – this WAS a miracle! Your sweet boy must have been a forever cat in your life, taking care of you until he knew he could move on and you’d be okay. I’m sure that was him, stopping by to let you know he’s well and will always watch over you. Perhaps that will bring you a little comfort during this difficult time.